San Francisco is famous for its own style of Mexican food, unduplicated anywhere in Mexico or the North. 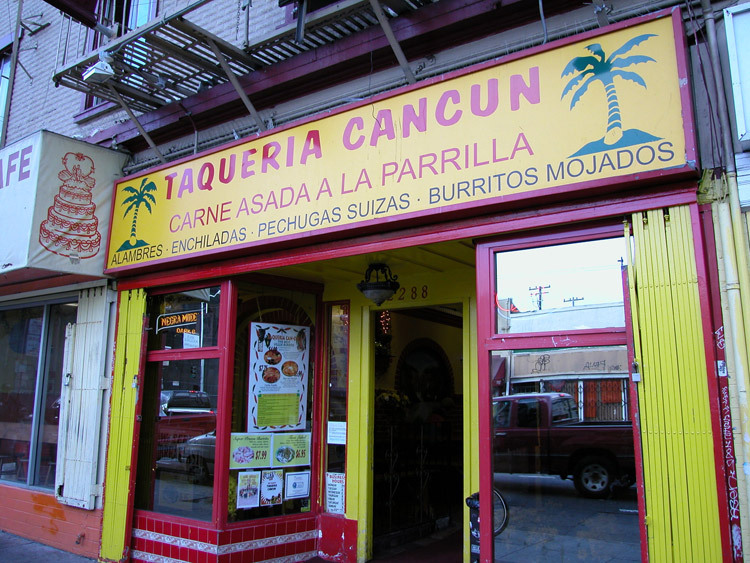 When San Franciscans move away, their thoughts return to the Taquerias of the Mission District. Taqueria Cancun is a perfect example. Informal and unfussy, (if a bit noisy) it serves giant burritos and tacos with only the freshest ingredients. Its sizzling carne asada (grilled steak) is known as the best in town, but what makes it truly special is that Cancun doesn’t skimp on delicious, fresh, California-grown avocado. Make sure your children are careful, the green picante sauce is spicier than it looks.